We recently received the great opportunity to design a unique award for the Royal Motor Yacht Club’s Appreciation Awards. Using some acrylic, some paint, a silver foil and an exceptional artwork design, we developed these fantastic awards. 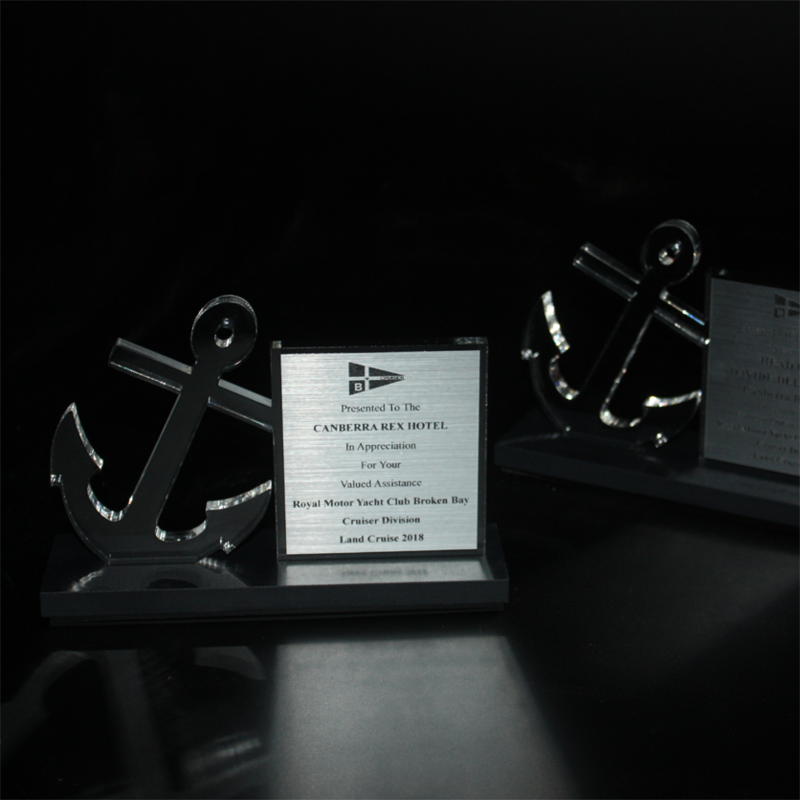 The anchor shape which serves as the backbone of the award has been laser cut out of clear acrylic. The black base has been custom cut and then painted to achieve a matte finish. To complete the awards, we added the silver foil which features engraved winners’ details.